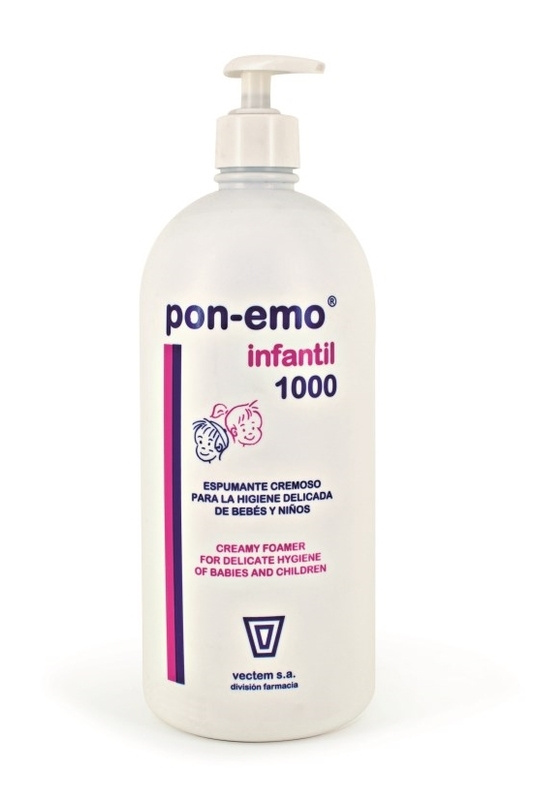 PON-EMO FOR KIDS , vectem s.a.
Dermatological lipoprotein- and collagen-enriched shampoo and body wash gel, suitable for baby skin. Essentially identical to Pon-Emo collagen (although somewhat less concentrated), but also contains mandelic acid, which acts as an acidifier and gentle, natural antiseptic. Confers a more acidic pH to the baby's skin, thus helping improve its qualities and contributing to its own protection. Suitable for baby and children's skin and hair care. Noted for being virtually non-irritating to the eyes, a quality shared by all Pon-Emo gels.